A traumatic brain injury or “TBI” can have serious effects on victims that can last the rest of their lives if they are fortunate to survive the initial trauma. Those who suffer a traumatic brain injury may have difficulty with both long- and short-term memory, performing tasks requiring use of motor skills, automatic bodily functions, and concentration and cognitive abilities. Some of this damage will never go away, while some of the symptoms can improve though hard work, determination and a very lengthy rehabilitation process. That process is too often not only extensive, but extremely expensive. It is costly not only in terms of medicals bills, but in the financial hardship associated with not being able to work. To help traumatic brain injury patients, scientists are working on new techniques in the operating room and during the rehabilitation process. While they are making daily progress, many researchers rely on grants to fund their expensive research. According to a recent news article from NJBIZ, $6.3 million in new grants have been awarded to help with their ongoing efforts. A state commission on brain injury research in New Jersey has approved this recent cycle of grant awards to develop treatments and cures for those suffering from traumatic brain injury. In that state alone, there are nearly 200,000 brain injury victims, and an average of 12,000 are expected to suffer a traumatic brain injury each year. It is hoped this money will allow researchers to better serve these victims and prevent brain injuries from occurring in the future through better surgical intervention techniques. 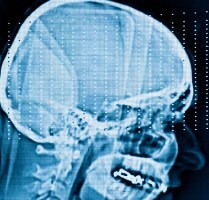 As our Boston traumatic brain injury attorneys can explain, while there will eventually be better options for patients. A true cure is still a long way away, and victims need a more immediate solution to assist with the hardship in the daily lives caused by an accident. In many cases, they would not be facing these struggles absent another person’s negligence. If you or loved one suffered a traumatic brain injury caused by an accident caused by someone else, you should contact an experienced personal injury lawyer as soon as possible. You can file a claim for damages to compensate for your pain and suffering, lost wages, past and future medical expenses, rehabilitation and physical therapy expenses, mental health treatment, special damages and, in some cases, loss of consortium. Loss of consortium is a legal term for damages stemming from a diminution in a marital relationship as result of an injury to one spouse. It is technically a direct claim, which the non-injured spouse can file on his or her own behalf, in addition the claims filed by or on behalf of the personal injury victim. There are a variety of damage claims that may be appropriate to your case, but, since the facts of every case are unique, you should speak with your attorney about what happened in your actual accident. If the victim died or is incapacitated as a result of the accident, the probate estate or conservatory estate may file an action on victim’s behalf.